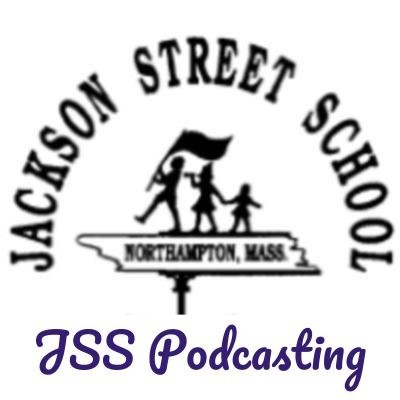 Welcome to JSS Podcasting the home of Jackson Street School Podcasting. In a rare historical find, Ms. Gerould's class has been able to uncover the actual voices of Northampton residents from the 1770s. Please enjoy these intimate portraits of life from the time of the Revolutionary War. Northampton life in the 1770s. BIn a rare historical find, Ms. Gerould's class has been able to uncover the actual voices of Northampton residents from the 1770s. Please enjoy these intimate portraits of life from the time of the Revolutionary War.rought to you by Ms. Gerould's 3rd grade class. Northampton life in the 1770s. Brought to you by Ms. Gerould's 3rd grade class.